We develop Thermocol & False Ceiling for cold storage, cooled rooms, air-conditioning ducts.In Building -ceilings, false ceilings, roofs, walls, floors, floating floors, door, partitions.Acoustic Insulation -cinema halls, factories, offices and residential buildings. and many more. 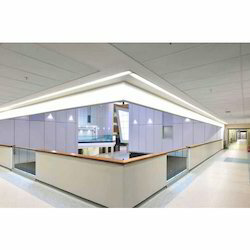 We are manufacturer of Wide range of decorative false ceiling sheets. usefull for ceiling on roof. Keeping in mind the ever-evolving needs of our clients, we are devoted towards offering an optimum quality array of Thermocol Ceiling. Being a customer oriented enterprise, we are engaged in providing a wide array of Thermocol False Ceiling. We are among the reputed organizations, deeply engaged in offering an optimum quality range of Thermocol Ceiling Aluminium. We provide best two types of "Thermocole Ceiling" to our customer. 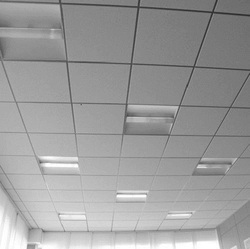 - Simple White Thermocole Ceiling. - Coloured Thermocole Ceiling with fixing only.